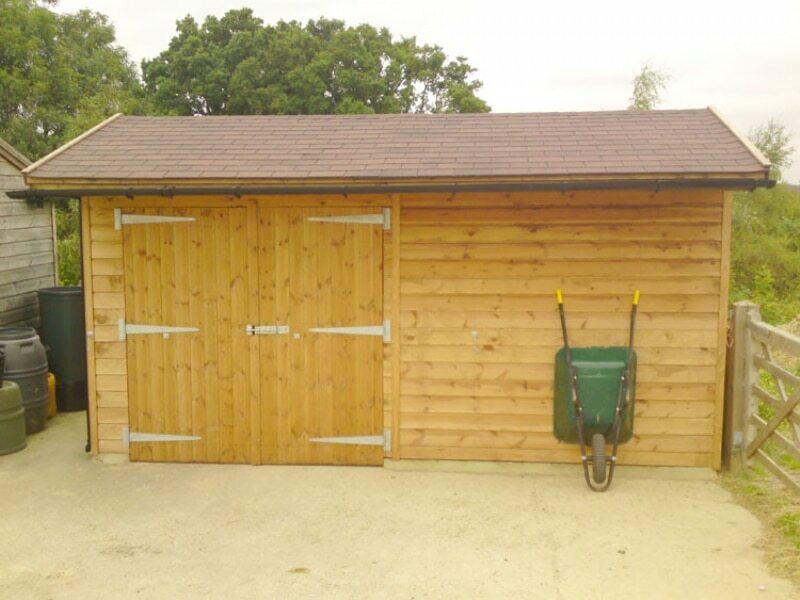 This free-standing haybarn is 5m x 2.4m with a 0.9m overhang. Includes a set of our 2.1m wide barn doors. Roof is Dual Brown Felt Shingles.